For the last few years, an ever-growing group of cosplayers have been using April Fool’s day as an excuse to team up all over the internet, pulling off massive showcases of characters like Nurse Joy and Misty. 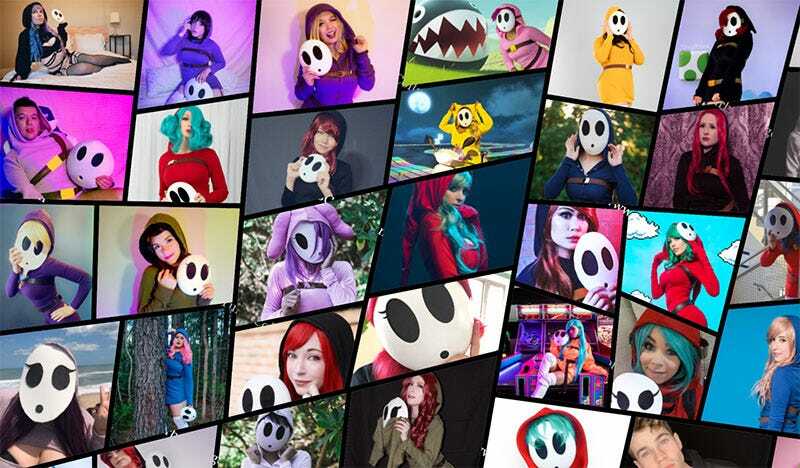 This year, the focus was on Shy Guy. There are too many folks to credit in one place here, but you can see a lot more—and see everyone’s Instagram accounts—at this hashtag. Meanwhile, a smaller group were intent on giving me nightmares with their #MayTheFoolsBeWithYou group effort, after which I will never look at a Death Star (or Wookiee) the same way ever again.